All arriving vessels must email an Advance notice of arrival to New Zealand Customs Service at least 48 hours before arrival. 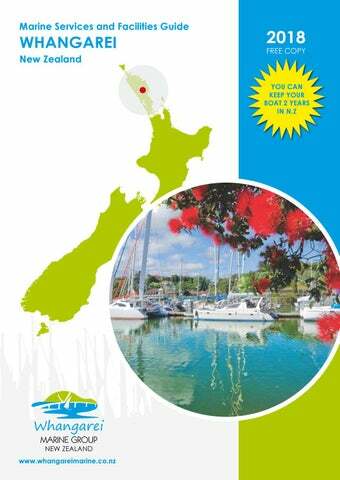 Email yachts@customs.govt.nz. Before moving between countries to prevent the spread of underwater pests. Clean your hull, keel and hull fittings of fouling. Wash out places where marine organisms are able to live, such as water inlets and outlets, anchor wells and cockpit areas (any places where seawater is retained). Vessels will only be allowed to arrive into NZ with a slime layer and goose barnacles. If likely to have more biofouling than the allowed threshold, you will be asked for documents for biofouling maintenance records and the operational history. In some cases, divers may inspect the vessel underwater. If there is too much biofouling MPI may: reduce your New Zealand itinerary, ask you to clean your vessel offshore using an approved treatment or within 24 hours by an approved provider in New Zealand. These measures will be at the expense of the vessel owner or operator. Here are some local contacts to help you get sorted quickly. Calling Tips: When calling from outside New Zealand, use the international code 64 and take off the zero before the area code 9. If you are in Whangarei and using a mobile phone, dial 09 first then the phone number. Coastguard VHF CH. 16 & 83 FOR THE WHANGAREI AREA. Radio Passage Scheds with Gulf Harbour radio. 8752 kHz or 8779 or 8297 kHz. (In that order depending on interference). Monday-Saturday UTC 1915. NZST 7:15am May 1 - November 30 each year.